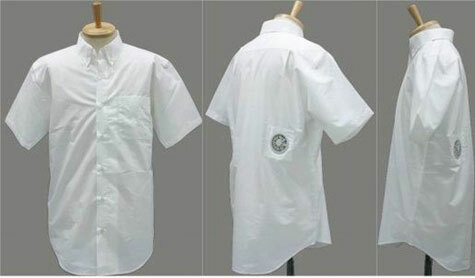 The USB Air Conditioned Shirt is a fantastic invention for hot days! USB- fans blowing fresh air into the shirt. Best cooling effect - Made in Japan. This USB-powered clothing is designed to keep you cool on those warm Summer days. As long as you don’t mind looking like a complete fool, the air conditioned shirt plugs into your computer and blows air onto your sweaty body, keeping you cool all day long. The fans will also run on batteries if there’s no USB power source nearby. 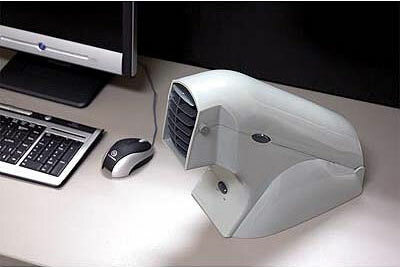 Staying cool and comfortable has never been easier, thanks to this desktop air conditioner!